Challenging Heights, in the past six years, has been calling for free Secondary school education in Ghana. In the past few months, the NPP, PPP, and CPP have all planned in their manifestoes to implement a Free Secondary School education in Ghana. The NDC has however opposed it, suggesting that it could be done in 20 years time. To us, Free Secondary school education is compulsory and an unavoidable constitutional obligation. Article 25 (1)(b) of Ghana’s 1992 fourth Republican Constitution states “secondary education in its different forms, including technical and vocational education, shall be made generally available and accessible to all by every appropriate means, and in particular, by the progressive introduction of free education”. We are at a loss as to why Ghana is refusing to enforce this constitutional provision to make secondary school education free. Unfortunately, instead of secondary school fees becoming progressively free, it is rather becoming progressively very expensive. For instance, last year, the fee paid by most first year secondary school students was approximately GHC300. This year, this figure has doubled to over GHC650. 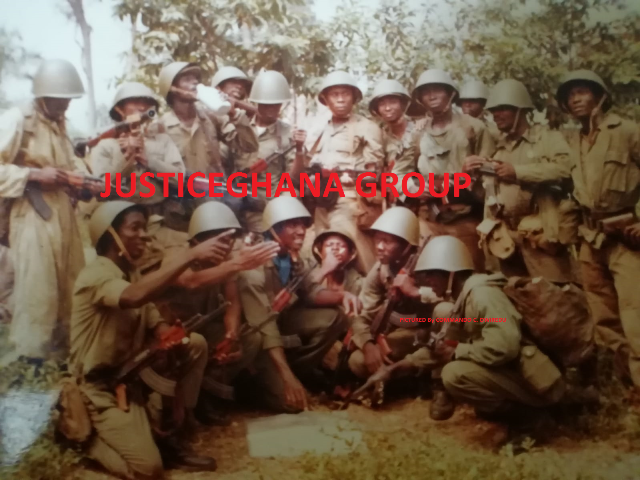 This is a direct breach of the spirit and letter of the 1992 constitution of the Republic of Ghana. We will like to remind all those opposing free secondary school education that Ghana goes beyond the children of the elites. It is estimated that over 60% of Ghana’s population live in rural areas. Only 8% of those who live in rural areas are in formal employment, with most of them being subsistent farmers. According to the Ghana Living Standards Survey report (2009) the proportion of those in wage employment in urban areas is less than 35%, while in rural areas it is 8%. Therefore, no amount of salary increases will help the majority of Ghanaians to be able to afford secondary school education at its current levels of fees, even if salaries are high for all the working class. It is obvious that greed, selfishness and partisanship are what is causing some to oppose free secondary school education in Ghana. The president, H. E. John Mahama, has previously mentioned that his government was going to identify brilliant but needy students and give them appropriate support in order to access secondary school education. This implies a form of scholarship scheme. We will like to state that we oppose any move to institute another scholarship scheme as a substitute for unbridled free secondary school education. The time has come for the government to scrap the Scholarship Secretariat which has a long history of corruption, cronyism, partisan expediency and misappropriation. Scholarships have discriminated against the very poor they are intended to support. In the past many of the scholarships given by government have gone to the children of the rich instead of it going to the intended children of the poor. The example of the cocoa scholarships is fresh in our minds where the children of cocoa farmers are sidestepped, but rather the scholarships are given to the children of the rich and to those whose parents have nothing to do with the production of cocoa. The most recent of the lack of transparency in the award of scholarships is the scholarships given to some 200 students to study Medicine in Cuba. We challenge government that the process of selecting the beneficiaries of this scholarship was tainted with corruption and abuse of office. To avoid the repeat of such scholarship corruption, we favor a form of universal capitation grant to all secondary schools for the benefit of all Ghanaian students. Regardless of the party that wins power (NDC or NPP), and regardless of whether that party promised free secondary school education or not, Challenging Heights will take every appropriate actions to ensure that free secondary school education is implemented after the coming elections are over. Let us remember that Ghanaians have the “can do spirit”. Let us not discourage ourselves into believing that making secondary school education is not possible – it is possible! The time for quality free secondary school education is now!